Penelope came to my house and was able to get right to work! She and I hit it off so well, it was as if she’d known us and wanted to get to know us. Having her in my house was causal, relaxed and we felt at home, not forced, fake or staged. She was able to capture us in such an awesome way! The pictures came out stunning! 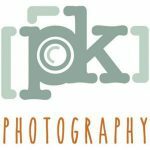 Can not recommend PK Photography any more highly!